From sparsely sampled data, we can attempt to estimate some of topological structure of the data. Consider a world where objects are made of elastic rubber. Two objects are considered equivalent if they can be deformed into each other without tearing the material. If such a transformation between X and Y exists, we say they are topologically equivalent……it is evident that a possible reason for two objects not to be equivalent is that they differ in the number of holes. Thus, simply counting holes can provide a signature for the object at hand. Holes can exist in different dimensions. A one-dimensional hole is exposed when a one-dimensional loop (a closed curve) on the object cannot be deformed into a single point without tearing the loop. If two such loops can be deformed into one another they define the same hole, which should be counted only once. Analogous definitions can be invoked in higher dimensions. For example, a two-dimensional hole is revealed when a closed two-dimensional oriented surface on the object cannot be deformed into a single point. This notion of counting holes of different dimensions is formalized by the definition of Betti numbers. The Betti numbers of an object X can be arranged in a sequence, b ( X )=( b 0 , b 1 , b 2 , I ), where b 0 represents the number of connected components, b 1 represents the number of one- dimensional holes, b 2 the number of two-dimensional holes, and so forth. An important property of Betti sequences is that if two objects are topologically equiv- alent (they can be deformed into each other) they share the same Betti sequence. One must note, as we will shortly illustrate, that the reverse is not always true: two objects can be different but have the same Betti sequence. A technique is presented for estimating the Betti numbers of sampled data using “Rips complexes” and “barcodes”. To put this technique to use on neural data, the spiking of 5 cells (mostly “complex cells in the superficial layers”) with high spontaineous rate in V1 in Macaques were recorded from. The spikes were binned and a point cloud in 5D was constructed (so i think the coordinates of the point cloud representing the spike rate in each of the 5 dimensions). 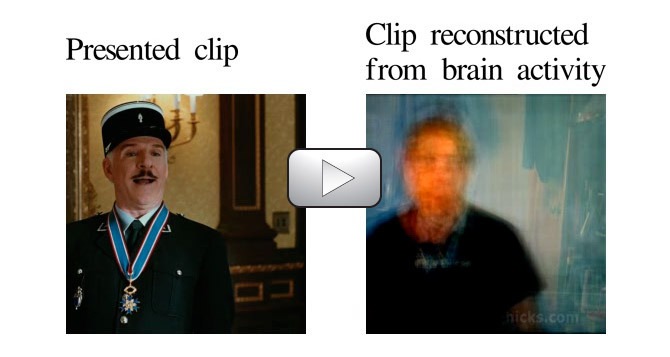 This was done in two experimental conditions, when a stimulus was being presented, and when the eyes were occluded. In both cases, the topological structure varied between a circle and a sphere, although the circle structure was found with higher probability in the stimulus condition. The authors present a model of circular structure generated “if cortical activity is dominated by neuronal responses to stimulus orientation”, and a model of toroidal structure generated “A toroidal representation may arise from a neuronal population responding to two circular variables, such as orientation and color hue”. Note that a torus wasn’t actually observed in the data; a circle and a sphere was. In the conclusions the authors speculate what could have caused the sphere. The authors conclude that the topology of spiking patterns for “both the data for spontaneous and driven conditions have similar topological structures, with the signatures of the circle and the sphere dominating the results”. Paraphrasing/adding to the article abstract: prevailing theory suggests that long-term memories are encoded via a two-phase process requiring temporary involvement of the hippocampus followed by permanent storage in the neocortex. However this group found that, even weeks later, after the memories are supposed to be independent of the hippocampus, they could disrupt recall by briefly suppressing hippocampal CA1. The suppression must be brief; if they suppress CA1 for a long time recall works again. This suggests that, long after memory formation, the memory is not primarily stored in the hippocampus, but the hippocampus is still somehow involved in recall. The research also implicates anterior cingulate cortex in recall. Abstract after the break.